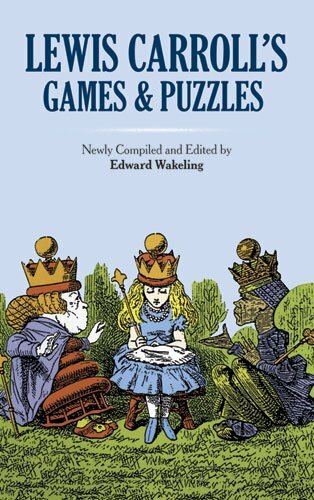 Forty-two tantalizing teasers — most by the creator of Alice in Wonderland and published here for the first time — Cakes in a Row, Alice's Multiplication Tables, Looking-Glass Time, Arithmetical Croquet, Four Brothers and a Monkey, Hidden Names, Diverse Doublets, Mischmasch, more. Many hints and solutions. Illustrations by John Tenniel. 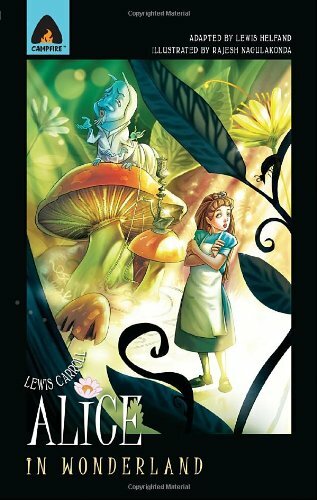 Beloved for more than a century, Alice's Adventures in Wonderland is widely viewed as Lewis Carroll's masterpiece; a fantastic journey that will never be forgotten. 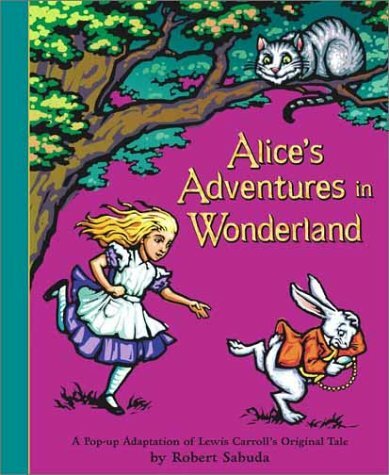 This perennially popular Norton Critical Edition again reprints the 1897 editions of Alice's Adventures in Wonderland and Through the Looking-Glass along with the 1876 edition of The Hunting of the Snark. Each text is fully annotated and the original illustrations are included. An unusually rich “Backgrounds” section is arranged to correspond with three clearly defined periods in Lewis Carroll's life. Letters and diary entries interwoven within each period emphasize the biographical dimension of Carroll's writing. Readers gain an understanding of the author's family and education, the evolution of the Alice books, and Carroll's later years through his own words and through important scholarly work on his faith life and his relationships with women and with Alice Hargreaves and her family. 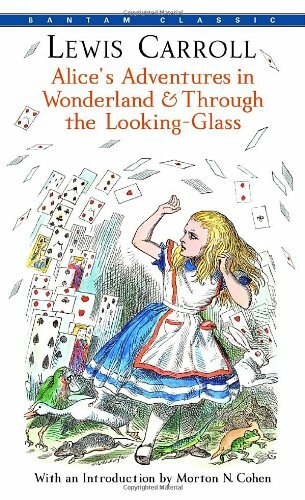 Reflecting the wealth of new scholarship on Alice in Wonderland and Lewis Carroll published since the last edition, Donald Gray has chosen eleven new critical works while retaining five seminal works from the previous edition. Two early pieces―an essay by Charles Dickens and poem by Christina Rossetti―take a satirical look at children's literature. The nine new recent essays are by James R. Kincaid, Marah Gubar, Robert M. Polemus, Jean-Jacques Lecercle, Gilles Deleuze, Roger Taylor, Carol Mavor, Jean Gattégno, and Helena M. Pycior. The Selected Bibliography has been updated and expanded. Witty, whimsical, and often nonsensical, the fiction of Lewis Carroll has been popular with both children and adults for over 150 years. The newest edition to the Leatherbound Classics series from Canterbury Classics, Lewis Carroll takes readers on a trip down the rabbit hole in Alice's Adventures in Wonderland, where height is dynamic, animals talk, and the best solutions to drying off are a dry lecture on William the Conqueror and a Caucus Race in which everyone runs in circles and there is no clear winner. 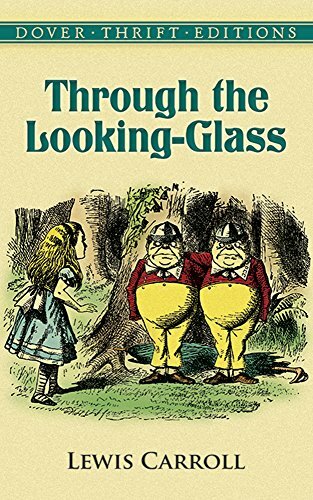 Through the Looking Glass begins the adventure anew when Alice steps through a mirror into another magical world where she can instantly be made queen if she can only get to the other side of the colossal chessboard. 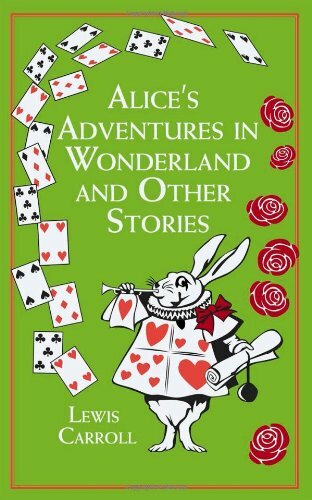 Fans of Carroll will also delight in the inclusion of Alice's Adventures Underground, the original unpublished manuscript written for the three daughters of a family friend that would later be transformed into Alice's Adventures in Wonderland. In 1862 Charles Lutwidge Dodgson, a shy Oxford mathematician with a stammer, created a story about a little girl tumbling down a rabbit hole. Thus began the immortal adventures of Alice, perhaps the most popular heroine in English literature. 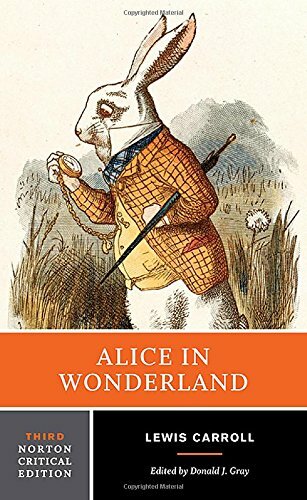 Countless scholars have tried to define the charm of the Alice books–with those wonderfully eccentric characters the Queen of Hearts, Tweedledum, and Tweedledee, the Cheshire Cat, Mock Turtle, the Mad Hatter et al.–by proclaiming that they really comprise a satire on language, a political allegory, a parody of Victorian children's literature, even a reflection of contemporary ecclesiastical history. Perhaps, as Dodgson might have said, Alice is no more than a dream, a fairy tale about the trials and tribulations of growing up–or down, or all turned round–as seen through the expert eyes of a child.